Slice the banana into equal chunks and place inside a blender with the two eggs, and one tablespoon of vanilla essence. Pour enough mixture for one portion into a bowl and microwave for 80 seconds. Repeat the previous step until you have your desired number of portions. 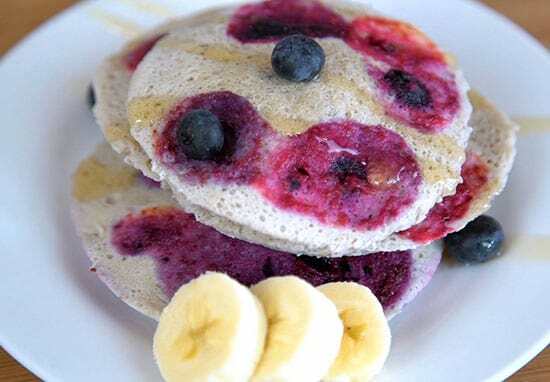 Add the fruit topping of your choice to the pancakes and enjoy!